Two players will play in a badminton sized court using the lines as boundaries. Using paper-rock-scissors to see which player will start first, the server must lob a tennis ball higher than the height of the opposing player so that the ball will land inside the court. 3. If the ball lands out of bounds (a point is awarded to the opposing player). 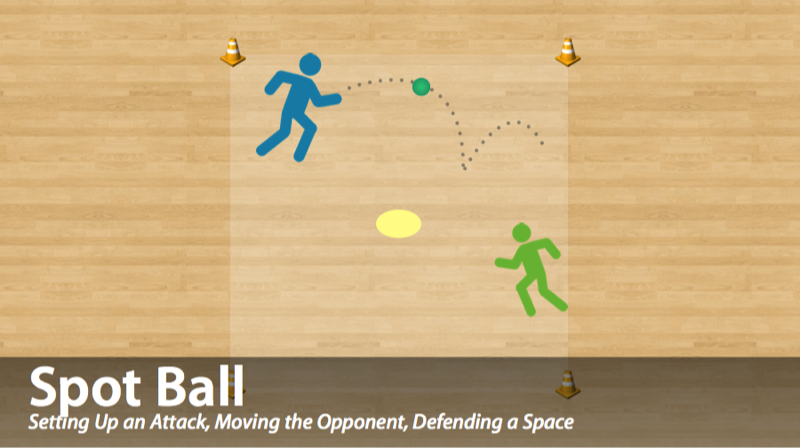 In this build, players attempt to score a point by having the ball bounce twice before their opponent can catch it or by having the ball land on the rubber spot. After each lob, the player who lobbed the ball must run and touch one of the four cones. Once they have done so, they must position themselves in a ready position for their opponent’s next lob.